The debut EP from folk songstress Daughter came out earlier in the year and we're pleased to report that she's back with another EP, entitled 'The Wild Youth'. Download 'Love' below, to give you a taster before the EP is released by Communion Records in November. "Did she make your heartbeat faster than I could?" 'Love' is a tale of heartbreak and jealousy, a characteristically emotional offering. The track begins and ends sparsely but for much of its near six minute length, 'Love' pulsates in the midst of beautifully atmospheric harmonies. 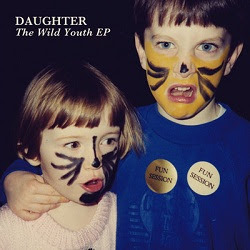 'The Wild Youth' EP is scheduled for release on November 21st. Find more about Daughter, including forthcoming tour dates, at Facebook.